252 pages | 9 Color Illus. | 98 B/W Illus. 1. Instrumentation for Human Mechanical Vibration Analysis. 2. Signal Processing. 3. Numerical and Experimental Assessment of Mechanical Vibrations. 4. Effect of Mechanical Vibration on Performance. 5. Effect of Mechanical Vibration on General Health. . 6. Effects of WBV in Individuals with Diabetes and Diabetic Neuropathy. 7. Effects of Whole Body Vibration in Patients with Chronic Obstructive Lung Disease. 8. 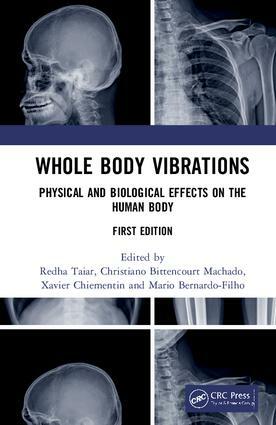 Whole Body Vibration, Cognition and the Brain. 9. Effects of Whole Body Vibration in Patients with Metabolic Syndrome. 10. Effect of Mechanical Vibration on Bone Tissue.